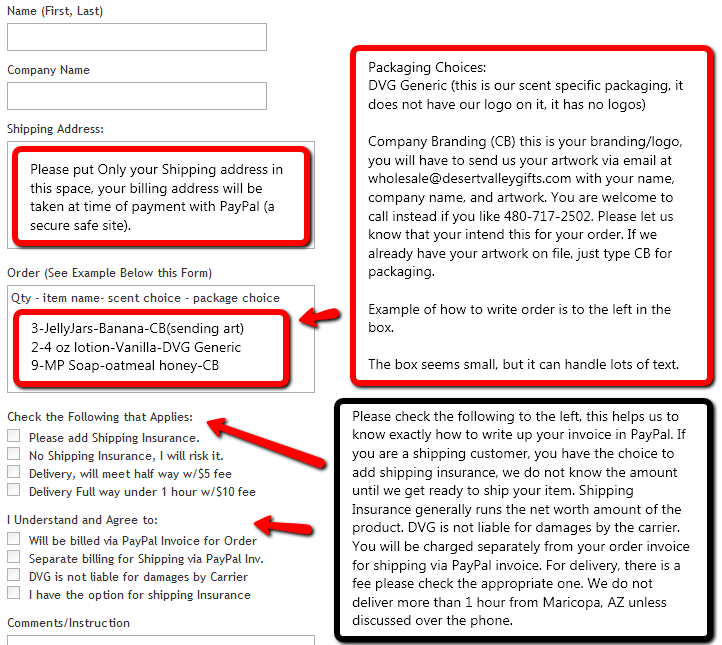 Scroll down below this order form for instructions on how to use this form. No Shipping Insurance, I will risk it. Separate billing for Shipping via PayPal Inv. *INSTRUCTIONS "How to Use the Form Above"